The Wyoming Department of Transportation (DOT) requires all first time drivers’ license applicants to complete all the milestones in the Graduated Driver Licensing (GDL) program before getting their full driver’s license. Obtaining your learner’s permit is the first step under the GDL program. With a WY permits; you can start driving under the supervision of an authorized driver and practice for your driving test. 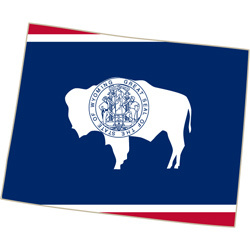 In the event that you have a learner’s permit from another state, you may drive within Wyoming. That is, if drive within specific hours whilesupervised by a licensed driver. In the event that you wish to exchange your out-of-state permit to a Wyoming license, please contact the Department of Transportation for points of interest. You must hold your Wyoming learner’s permit for no less than ten days prior to obtaining your intermediate driver’s permit. To obtain learner’s permit, you must take a written permit test. The Wyoming written permit test consists of a series of multiple choice questions derived from the Wyomingdriver’s manual. The questions cover a number of topics that are designed to prepare the applicant for real life situations on the road. The topics include: Wyoming driving laws, road signs, driving under the influence, safety rules, traffic signals, parking, how to enter and exit the freeway and other important information you need to know about driving in Wyoming. You can prepare for the test through the following way:Reading through the Wyoming driver’s manual, completing an online driver prep course and taking a few practice permit tests or DMV practice tests. A combination of the three will be a sure way to pass the written test on your first attempt. However, if you fail the test on your first attempt, you will have to wait for at least one business day before you can retake it. If you fail the test 3 consecutive times, you will have to wait for at least 30 days before retesting. Book an appointment with the local DMV office when you are ready to take the test. It is advisable that you reach the DMV office 1 hour before the test.